I can’t tell you how thrilled I am that it is the first of September. Not only does this begin my favorite part of the entire year, but this fall promises to be more exciting than most. 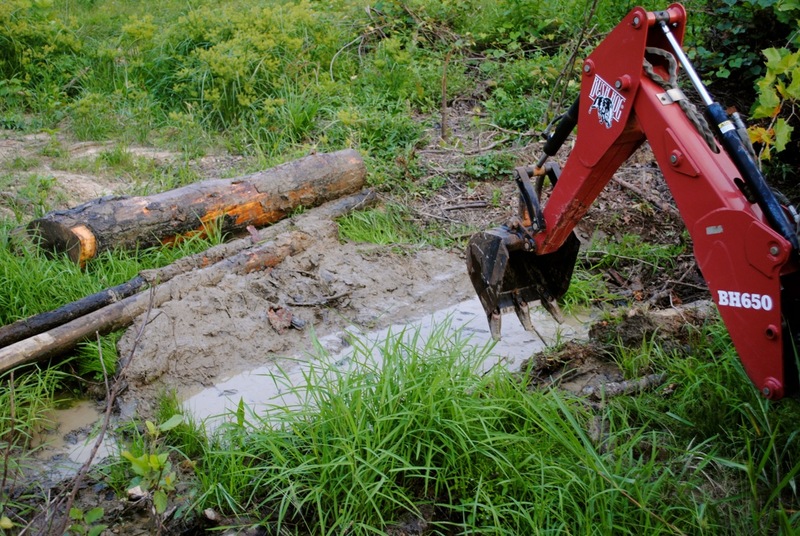 Right now there is excavating happening out in our stream, in preparation for a culvert to be placed. This way we can actually get over the stream with things like hay and feed. This is the last big push before the fencing goes up. While Paul digs out the stream I am busy preparing lesson plans and getting everything ready for school to start on Tuesday. This year we have a new addition to our class: Maddie. She’ll be joining us as a student and working hard to get ready for college next year. She’ll be bunking with Neve in the former playroom, and I am looking forward to having an extra set of helping hands around! This entry was posted in Kids and tagged Farm, Homeschooling. Bookmark the permalink.